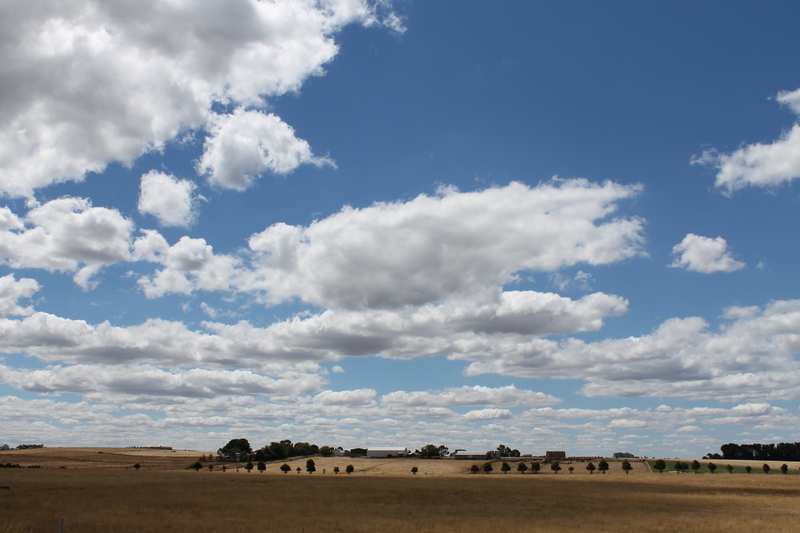 Last Sunday I drove about 120km out of Melbourne to Daylesford. The area is well known for it’s natural mineral springs, and was a favoured holiday spot of families and glitterazzi in times gone by. Apparently my maternal great grandparents were among those who frequented the area. The spring water is slightly fizzy with a strong metallic after-taste and was popular for bathing and drinking, there is a huge changing room/bathhouse on the shores of Lake Daylesford that was opened in 1940 at what I assume was the height of popularity. These days it’s just as easy to pop up to Queensland for a weekend holiday as it is to drive over to Daylesford, but it’s a beautiful area that I hope is still popular. This is a view from the historic railway service. When I stuck my head out of the train to get this photo my sister was very concerned that I’d have it taken off, but I survived unscathed. 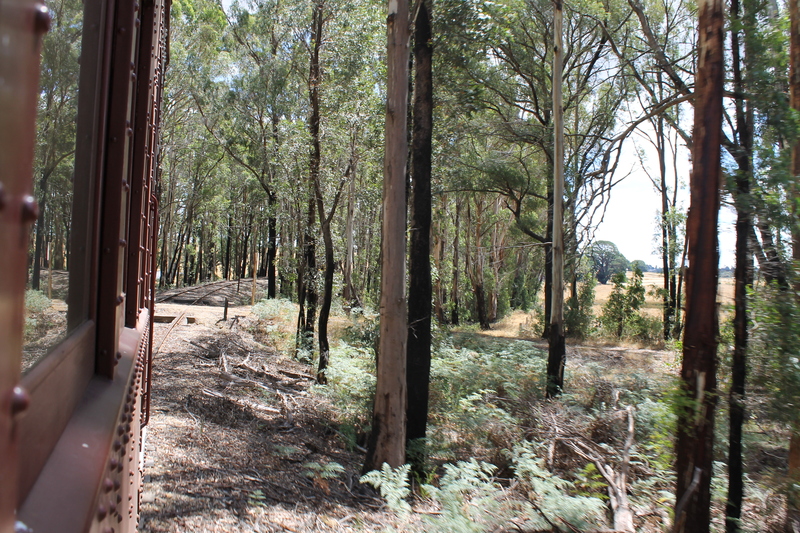 The train runs from Daylesford to Musk, and takes about 15 minutes each way. Musk is basically just a train platform in the middle of long stretches of nothing but the train ride is quite lovely. It was a gorgeous sunny day with lots of lovely fluffy clouds suspended over sweeping yellow fields. My mother commented that it was a very Van Gogh landscape and I have to agree. 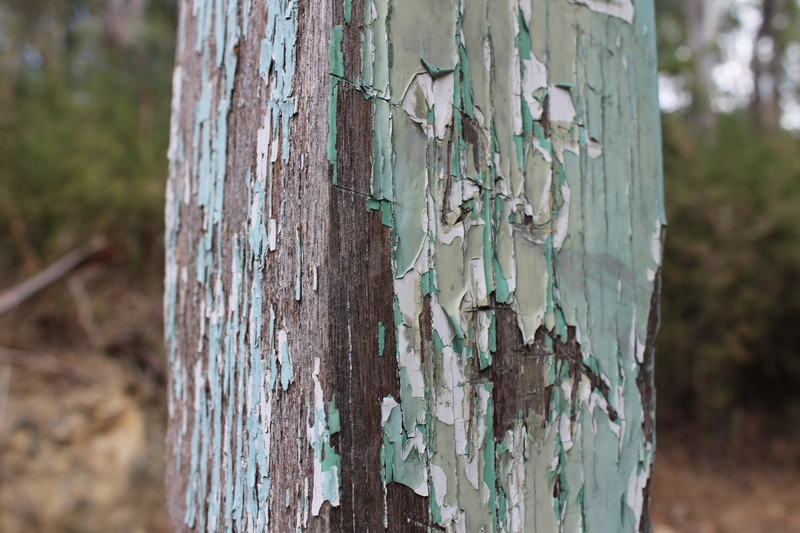 This is a supporting post for a pavilion near Lake Daylesford. It has fallen into disrepair over the years and the local youths (I assume) have covered it in graffiti and empty bottles. It holds something of a creepy beauty. I’ve recently discovered a passion for this sort of photography of abandoned buildings and urban decay. In other unrelated news I have been featured here on Rebeccah Giltrow’s blog with an interview I did late last year. I would recommend you all visit her website and read my interview.